Can two hearts heal as one? Jessica Mason isn’t looking for love when she meets Ridley Chesterfield. Instead, she is reeling from the tragic, unexpected loss of her husband and daughter—and awaiting the arrival of her unborn child. Ridley Chesterfield is hiding out in Hope Springs, avoiding a political scandal and the barrage of false media headlines that have tarnished his good name. But when Ridley forms a friendship with his pregnant neighbor, he wonders if this small-town hideout might be more of a long-term destination. 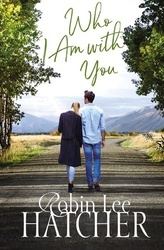 Robin Lee Hatcher, author of more than 75 books, is known for her heartwarming and emotionally charged stories of faith, courage, and love. In addition to many other awards, she is the recipient of lifetime achievement awards from both Romance Writers of America and American Christian Fiction Writers.